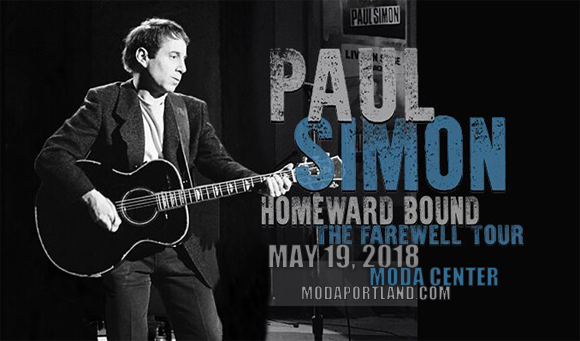 Legendary artist Paul Simon is coming to Moda Center on Saturday 19th May 2018 for one unmissable night! Tickets are already flying out for the Graceland auteur's farewell tour, where he will perform the songs that made him great throughout his illustrious time in music! "Once again, I am very grateful for a fulfilling career and, of course, most of all to the audiences who heard something in my music that touched their hearts," said the star of his retirement from performing. First finding fame in the 1960s as the main songwriter and co-founder of the duo Simon and Garfunkel, American singer-songwriter and actor Paul Simon has been in the music industry for over seven decades. Simon and Garfunkel had several renowned hits throughout their six-year career, including the number-one singles "The Sound of Silence", "Mrs. Robinson", and "Bridge over Troubled Water". Simon went on to be a successful solo artist after the duo disbanded, releasing three critical and commercial hits albums between 1970 – 1975. Graceland, Simon's 1986 album, sold 14 million copies worldwide on its release and remains his most popular album to date. A highly-awarded artist, Simon has been honored many times throughout his career, and has won sixteen Grammy Awards for his solo and collaborative work, including three for Album of the Year (Bridge Over Troubled Water, Still Crazy After All These Years, Graceland).